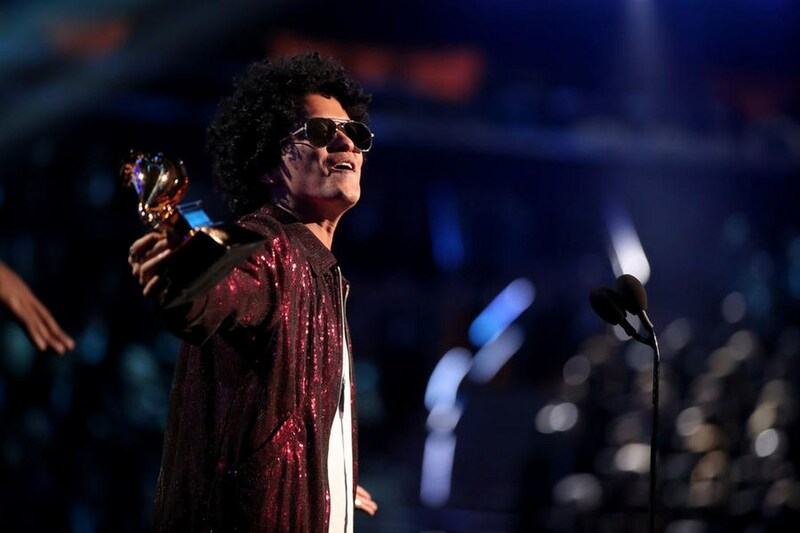 Bruno Mars won all of the six awards he was nominated for at last night’s ceremony, including album, record, and song of the year. Kendrick Lamar, who opened the ceremony with a performance of a medley of songs from his album Damn., had the second most nominations at this years ceremony and took home five awards, while Jay-Z, the most nominated with eight, left empty-handed. Like the Golden Globes, the event was dominated by support for the ‘#TimesUp’ movement, as many attendants walked the red carpet with white roses in hand, but only 17 of the 86 Grammy awards went to women or female-fronted bands. Alessia Cara took the award for best new artist and became the only female artist to win a major prize in this year’s ceremony, while SZA, the most nominated female artist up for five awards, won none of them. Lorde, the only female artist nominated for album of the year, surprisingly did not perform at the ceremony, which included performances from Lady Gaga, Sam Smith, and Pink. Kesha, adorned with an embroidered white rose, took to the stage, backed by a choir that included Camilla Cabello and Cyndi Lauper, for her ballad ‘Praying’ that addresses her battle with sexual assault. “We come in peace but we mean business,” said Janaelle Monae in her introduction to the powerful performance. The evening also included a performance in memory of those killed at the Route 91 festival in Las Vegas last October, as the handwritten names of the dead appeared on the screen behind country music stars Maren Morris, Eric Church and Brothers Osborne as they performed Eric Clapton’s ‘Tears in Heaven’. “We wanted to come together and honour the memory of the beautiful, music-loving souls so cruelly taken from us,” said Morris. Alessia Cara and Logic also performed 1-800-273-8255, dedicating it to those who had lost their lives to suicide, standing next to survivors. Camila Cabello, in her introduction to U2’s performance, also reflected on the treatment of immigrants. “I’m a proud Cuban-Mexican immigrant, born in eastern Havana, standing in front of you on the Grammy stage in New York City, and all I know is, just like dreams, these kids can’t be forgotten and are worth fighting for,” she said. Posthumous awards were also given to Leonard Cohen and Carrie Fisher, who won best spoken word album for the audio recording of her memoirs, The Princess Diarist.